It’s hard to stay in shape. Between careers, family, and other commitments, there’s often simply not enough time to hit up the gym. On top of that, it’s tempting to skip healthy cooking and to just hit up the drive-thru lane for some junk food. Over time, these habits can result in weight problems. Fortunately, there are many ways to lose weight. All natural weight supplements, exercise, and better eating habits can help you trim fat and to live a healthier, fuller life. When working out, it’s important to do only what you can and to not overexert yourself. If you don’t, you’ll increase the risks of suffering a workout-related injury. In order to reduce the risk of athletic injuries associated with weight loss, we’ll outline five in water exercises that are generally less likely to produce injuries. 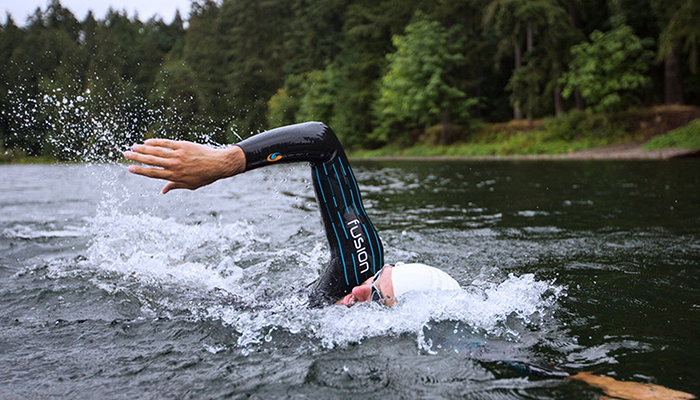 In-water workouts are great because the water will reduce impacts on your muscles and joints. Again, however, the risk of a sports injury is real no matter what form of exercise. Of course, you need to exercise caution while exercising your body in water. It’s best not to swim alone and to make sure that you do not take on more than you can handle. If you do injure yourself, consider one of our all natural pain relief kits. Swimming is a great exercise for losing weight because it both burns a lot of calories and is easy on your body. The water will help to support you and will reduce the impact on your body. This, in turn, will reduce the risks of suffering a muscle or joint injury. There are many styles for swimming. Start slowly with the style you are most comfortable with, then try other methods that work out different groups of muscles! Jogging in Place: Just as the names suggests, pick a spot in water that goes up to your waist or higher and start jogging in place. Squat Jump: Squat down with your arms extended straight over your head. Then jump! Tick Tock Hop: The Tick Top Hop can be especially fun. You put your feet together then start hopping back and forth. Flutter Kick: Hold onto the side of the pool, then extend your legs out and start to kick. Mix Your In Water Workout Up! The above are just some of a few in water workouts you can engage in. Try mixing them up! Remember, you should always exercise caution while in water. Further, while in-water workouts can reduce the risk of sports injuries, it won’t eliminate them. If you’re feeling sore or suffer an injury, consider an all natural muscle and joint pain relief cream!